Making the world accessible. One video at a time. 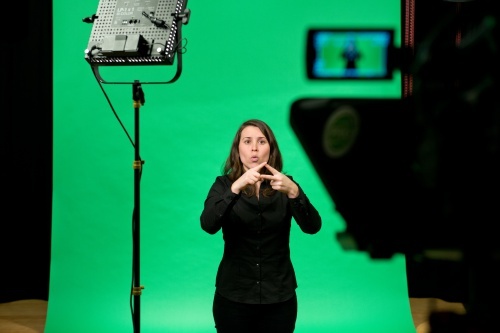 For the Record Production is Canada’s leader in sign language video production, creating accessible content for education, training and public awareness. We have been producing videos in American Sign Language (ASL) and Langue des signes québécois (LSQ) for over 20 years. We work with local and national Deaf organizations to ensure our videos meet the highest standards of quality and cultural accuracy.